The dollar which is 'dwarf' next to the British pound, can be printed on Bose's picture. Bose has been nominated in the list of potential scientists recently with great scientist Stephen Hawking. Jagdish Chandra Bose, a Indian scientist who searches for 'life as a human being in plants and trees' can print on a new note of 50 pounds of Britain. 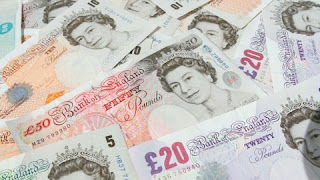 There is a plan to put a picture of a scientist on these new notes printed by the Bank of England from 2020. Bose is one of the hundreds of scientists who have been nominated for this. Bose has been nominated in the list of potential scientists recently with great scientist Stephen Hawking. This list also includes former British Prime Minister Margaret Thatcher. Thatcher was a chemist before becoming the Prime Minister. The potential list of the bank includes computer scientist Alan Turing, Eda Lovelace, telephone inventor Graham Bell, astronomer Patrick Moore, penicillin inventor Alexander Fleming, among others. Know who was Jagdish Chandra Bose Famous physicist Jagdish Chandra Bose was born on November 30, 1858, in Meman Singh village in Bengal. He also wrote several books on many different topics. After obtaining a BA degree in Physics, Bose went to London to study medicine. However, due to poor health he had to leave medical studies. After this, he took a BA degree from the Christ College of Cambridge. Bose has done many important discoveries, including the discovery of life in trees, studies on radio and microscopes, and many discoveries. In 1917, the British government was given Knight's title in view of the scientific achievements of Bose.